I will be beginning my first year as an instructional coach at our alternative school. I have 16 years teaching experience in SPED. I am beginning to look around for instructional materials for myself, as the school year is nearing the beginning. I came across your blog near the top of my search and was wondering what you would suggest as the top things I should concentrate on, outside of establishing relationships with my fellow teachers. The great thing is that I have been in the same district for 16 years and many of my students have eventually attended our alternative school so I know quite a few of the teachers. Thank you for any guidance you can give me. Here are a few beginning of the year pieces for you to consider, based on what I’ve learned these past few years. 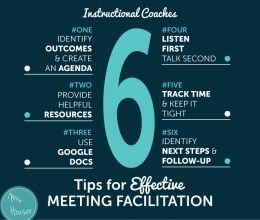 Instructional coaching can look very different district to district, or school to school. You may have been hired with a broad overview of what you’ll be doing, or maybe none at all. Either way, I think it would definitely be worth your time to write out a clear job description for yourself, really clarifying your roles and responsibilities. 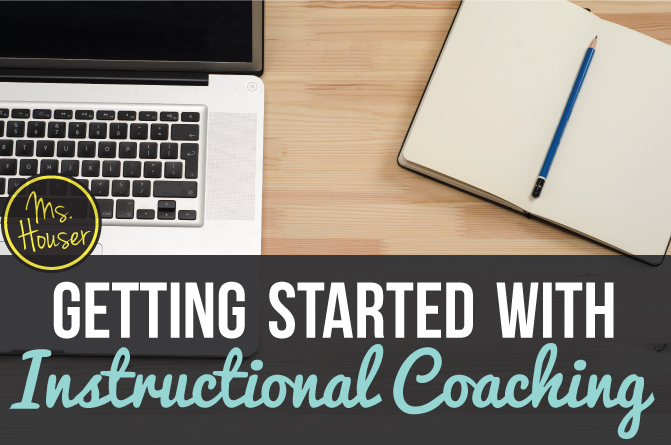 One idea is to get online and search “Instructional Coaching Jobs.” This will give you a list of different coaching job descriptions which may help you get some traction. This year I’m super excited to add another role to my work, which will be teaching literacy in (another teacher’s) room. I’m looking forward to applying what I’ve learned from visiting so many great classrooms, and continuing to improve my own craft as a teacher. 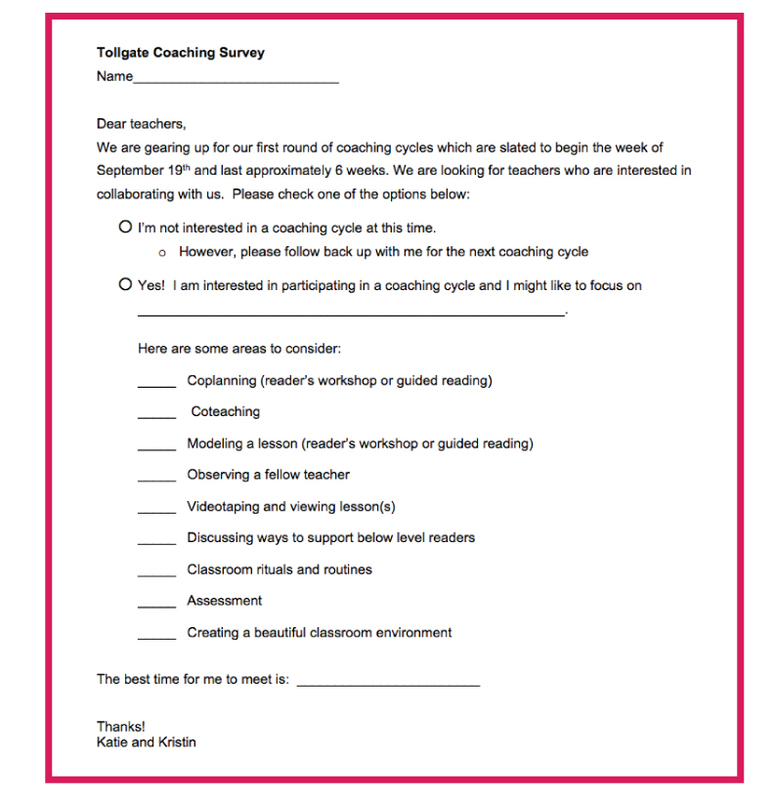 Then, you can send a coaching interest survey to teachers asking if they’d be up for participating in a coaching cycle. It may be helpful to provide some areas of focus for them to consider in case they’re unfamiliar with how coaching can be a support structure. 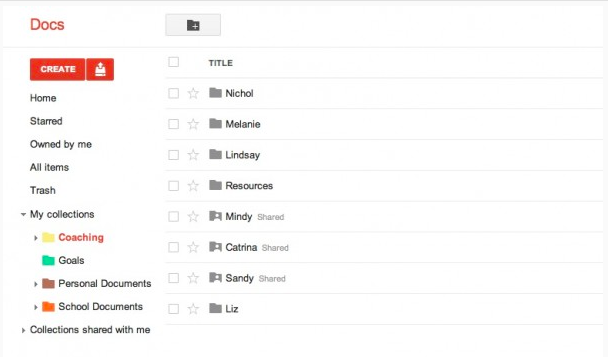 Figure out how you’ll collect and file your observation notes. Also how you’ll share and record notes during debriefs. On your computer? Paper? Will you email teachers the notes? 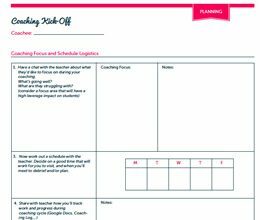 You’ll likely be working with several teachers and taking lots of notes, so staying organized and prepared is important. I use my planner, file folders (on my computer and by my desk), and Google Docs to help me with all of the above. 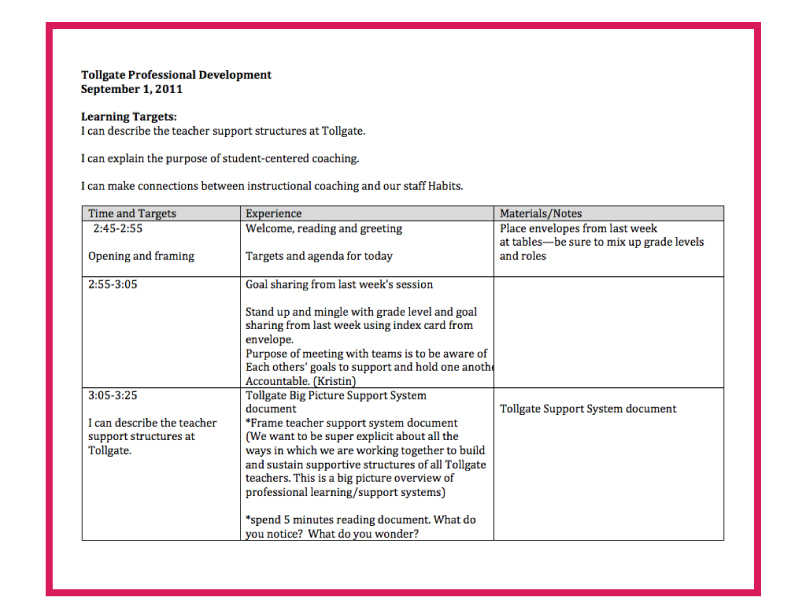 Plan to visit classrooms the first few weeks back for about 20 minutes x classroom. You can let teachers know you’re coming, or just pop-in. But don’t cling to your clipboard! The last thing you want is to build a reputation of being “the clipboard coach.” You know the coach who sits in the back the whole time, clinging to their clipboard with a serious look on their face, furiously scribbling notes. Help teachers see you as a teaching partner right from the start. So sit down with kids if they’re in a whole group lesson, work alongside them if they’re working independently, smile and show kids and the teacher that you’re a learner too. I’ve said it before, but it’s worth saying again. Building relationships with teachers is really critical to your success. 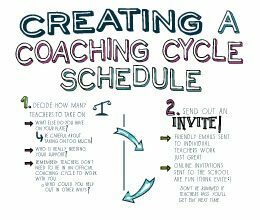 There will be no successful coaching cycles happening if teachers don’t trust you and have no interest in working with you. If you’ve already established trusting relationships with teachers, that’s awesome. But don’t let this area be something you lose focus of. Building and maintaining relationships should always be one of your primary objectives, from the beginning of the year to the end of the year. Instructional coaching can be challenging. But it’s also so great in so many ways. You’ll be pushed outside of your comfort zone, but you’re going to learn so much. Everyday you’ll have the opportunity to positively impact a teacher by what you say, do, and model. And that’s pretty cool. I believe in you, and you’re going to be great. Keep me in the loop, and let me know how things are going. I’d love to hear. Just wanted to say thank you so much for posting this. 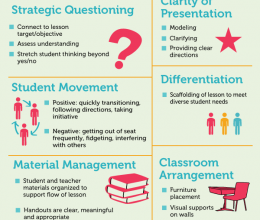 These tips are useful not only for instructional specialist, but grade level chairs (team leaders) as well. The documents also look useful. Good Show!!! Thank you for these words! I am a principal of a VERY small school and am choosing to wear a coaching hat more than the admin hat as I see this role as vital to helping teachers and students. I look forward to using these strategies in guiding my work and thank you for taking the time to post! Hi Suzanne! So cool to hear from a principal. I think it’s so great you’re choosing to wear your coaching hat more often. I bet teachers appreciate that. Thanks for being a part of the MsHouser community…I’m glad the resources have been helpful! I so appreciate the wisdom, insight, and practical tips you share in your coaching blog! This is my fourth year as an instructional coach and I am once again starting the year with classroom visits and building relationships with our new teachers. My greatest challenge is that I am stretched between two campuses – and three schools (elementary, middle, and high school). What advice would you offer for a coach trying to build relationships and become an integral part of each staff? Hi Christi! Thanks so much for your message, and for being a part of the MsHouser community. Man, that’s tough, since I’ve only ever been a single site coach! After all there is only one you, so I would do your best! Perhaps you could send a cool “evite” type hello/introduction to everyone, and just let them know you can’t wait to get to know them better. Often times, just a quick hello can go a long way! You have been a life savior with this blog! Thank you so much. I’m in my second year as an ELL Instructional coach at my school and it has been challenging. I often refer to this site for advice on what to do. Thank you so much!! Awesome, Paty! Thanks so much for sharing, and I’m glad the blog has been helpful :) Keep up the good work! I am a new coach and have two new 2nd grade teachers in my building (both are fresh out of college and just started two weeks ago.) My principal wants me to meet with them on the Math standards they will be teaching in three weeks. I need assistance in setting a agenda (what to focus on in my 1st meeting with them.) I don’t want to overwhelm them at our 1st meeting, but my Principal is insistent on them understanding the CCSS-Math that they will be teaching, including vertical alignment (what the students should have learned in 1st grade on the standard) and during 2nd grade. HELP!!! Leave a Reply to Iyphip Lee Click here to cancel reply.